Computer chips with superconducting circuits that had zero electrical resistance would be 50 to 100 times as energy-efficient as today’s chips. This level of energy-efficiency would be a huge benefit considering the increasing power consumption of the massive data centers that power the Internet’s most popular sites. 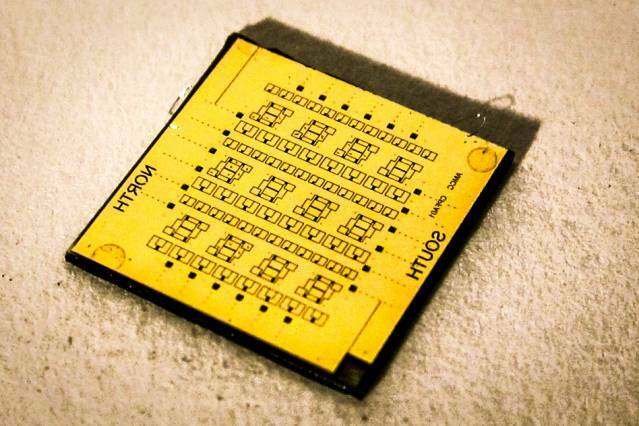 Superconducting chips will also deliver greater processing power. Superconducting circuits that use the Josephson-junctions have been clocked at 770 gigahertz or 500 times the speed of the chip in the iPhone 6. However, the Josephson-junction chips are big and challenging to produce. The most significant problem being, they use such minute currents that the results of their computations are difficult to detect. For the most part, they’ve been regulated to a few custom-engineered signal-detection application. In the latest issue of the journal Nano Letters, MIT researchers present a new circuit design that could make simple superconducting devices much cheaper to manufacture. While the circuits’ speed probably wouldn’t top that of today’s chips, they could solve the problem of reading out the results of calculations performed with Josephson junctions. MIT researcher, Adam McCaughan, a graduate student in electrical engineering, and his advisor, professor of electrical engineering and computer science Karl Berggren, call their device the nano cryotron, after the cryotron, an experimental computing circuit developed in the 1950s by MIT professor Dudley Buck. The cryotron was briefly the object of a great deal of interest and federal funding, as the possible basis for a new generation of computers, but the integrated circuit eclipsed it. Superconducting circuits are used in light detectors that can register the arrival of a single light particle, or photon, which is one of the applications in which the researchers tested the nano cryotron. McCaughan also wired together several of the circuits to produce a fundamental digital-arithmetic component called a half-adder. Superconductors have no electrical resistance, meaning that electrons can travel through them completely unimpeded. Even the best standard conductors, like the copper wires in phone lines or conventional computer chips, have some resistance. Overcoming resistance requires operational voltages much higher than those that can induce a current in a superconductor. Once the electrons start moving through an ordinary conductor, they still collide occasionally with its atoms, releasing energy as heat. Superconductors are ordinary materials which are cooled to extremely low temperatures, slowing the vibrations of their atoms and letting electrons speed past without collision. Berggren’s lab focuses on superconducting circuits made from niobium nitride, which has the relatively high operating temperature of 16 Kelvin, or minus 257 degrees Celsius. This is achievable with liquid helium, which, in a superconducting chip, would probably circulate through a system of pipes inside an insulated housing, like Freon in a refrigerator. The nano cryotron consists of a single layer of niobium nitride deposited on an insulator in a pattern that looks roughly like a capital “T.” However, where the base of the T joins the crossbar, it tapers to only about one-tenth its width. Electrons sailing unimpeded through the base of the T are suddenly crushed together, producing heat, which radiates out into the crossbar and destroys the niobium nitride’s superconductivity. A current applied to the base of the T can then turn off a current flowing through the crossbar. That makes the circuit a switch, the primary component of a digital computer. After the current in the base is turned off, the current in the crossbar will resume only after the junction cools back down. Since liquid helium cools the superconductor, that doesn’t take long. However, the circuits are unlikely to top the one gigahertz typical of today’s chips. Still, they could be useful for some lower-end applications where speed isn’t as important as energy efficiency.